Follow this hungry little dinosaur as he bakes a cake and makes a playful mess along the way. 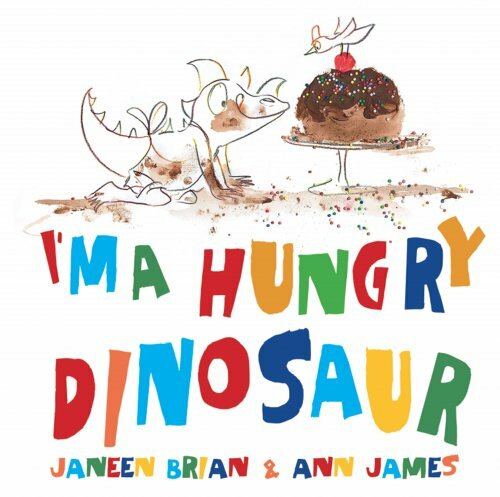 I'm a Hungry Dinosaur is packed with plenty of action works, particularly for baking. The bouncy and repetitive text encourages children to join in with the story by copying the little dinosaur's words and actions. As this book is written in the first person, it is an excellent choice for teaching young children to use the word 'I' (e.g. I'm stirring, I'm chomping). For further speech and language targets in I'm a Hungry Dinosaur, see the list below.